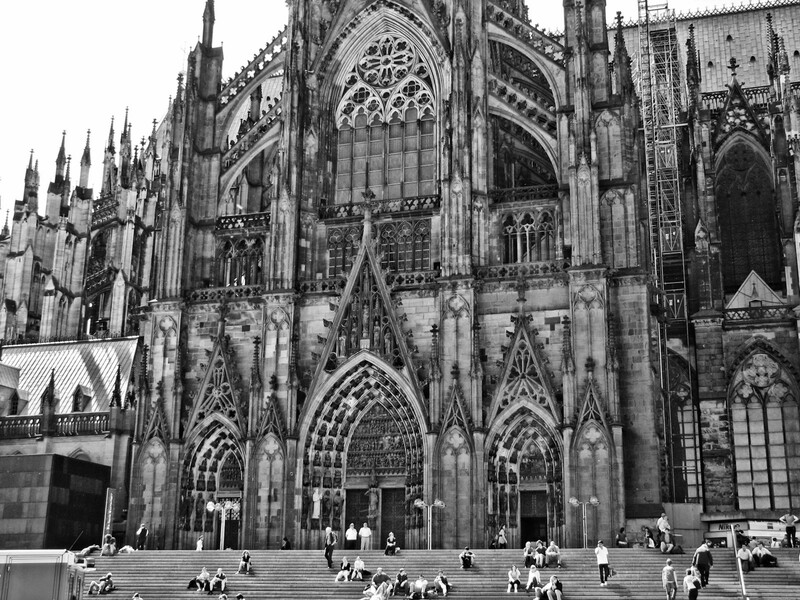 One of the huge entrances of Cologne Cathedral, the Kölner Dom. See the tiny humans on the steps for comparison! I think this was the North entrance facing the railway station.